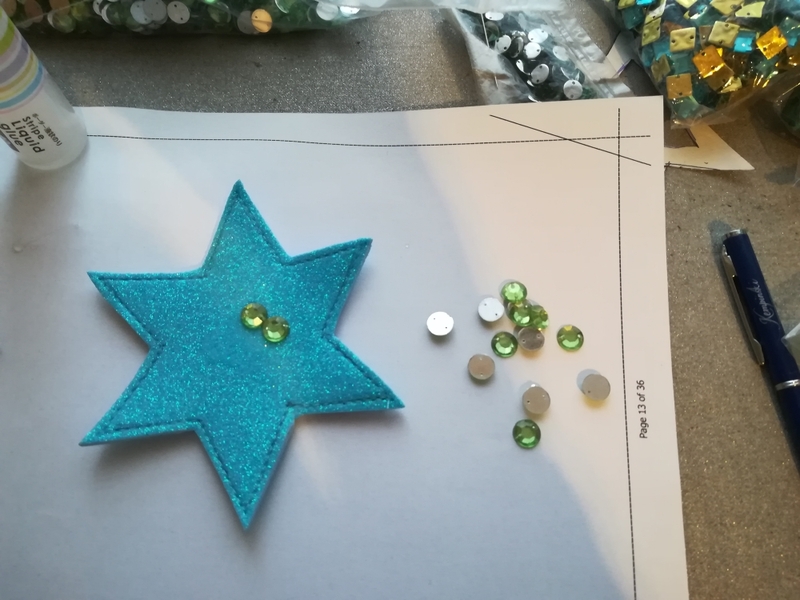 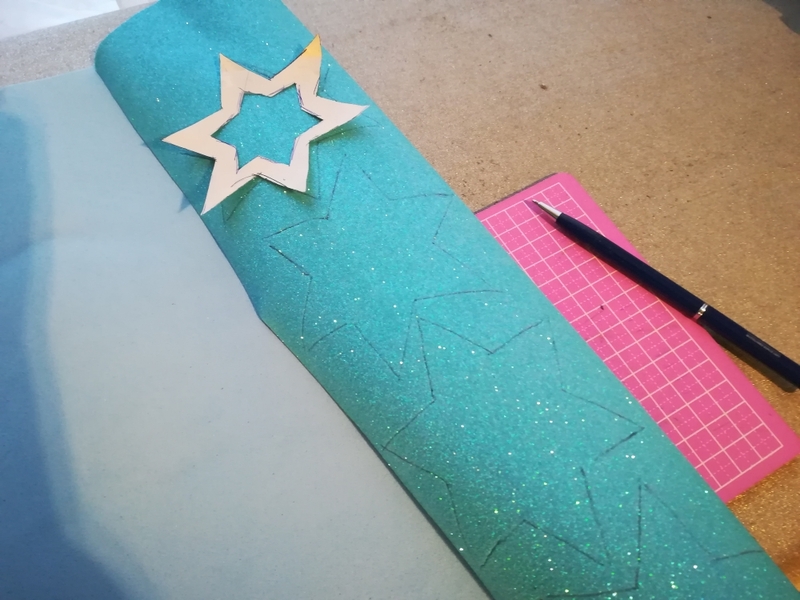 Draw a star pattern, cut it out. 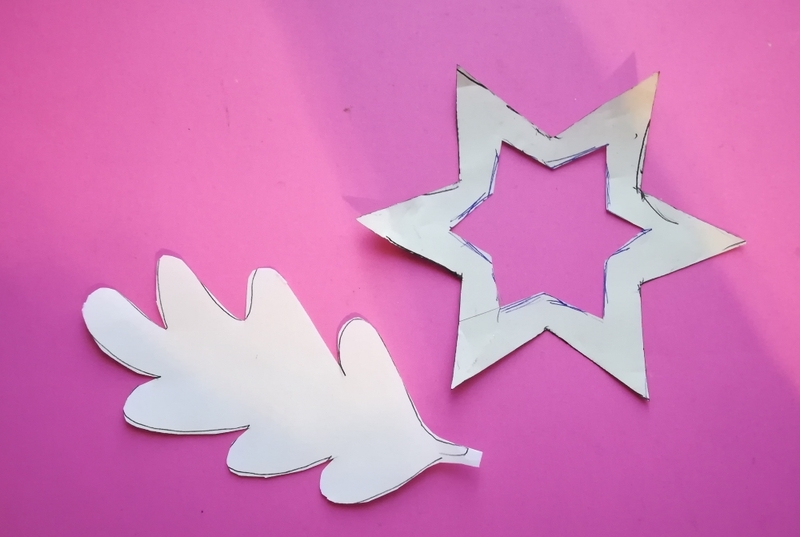 Put paper star on rubber foam and draw it. 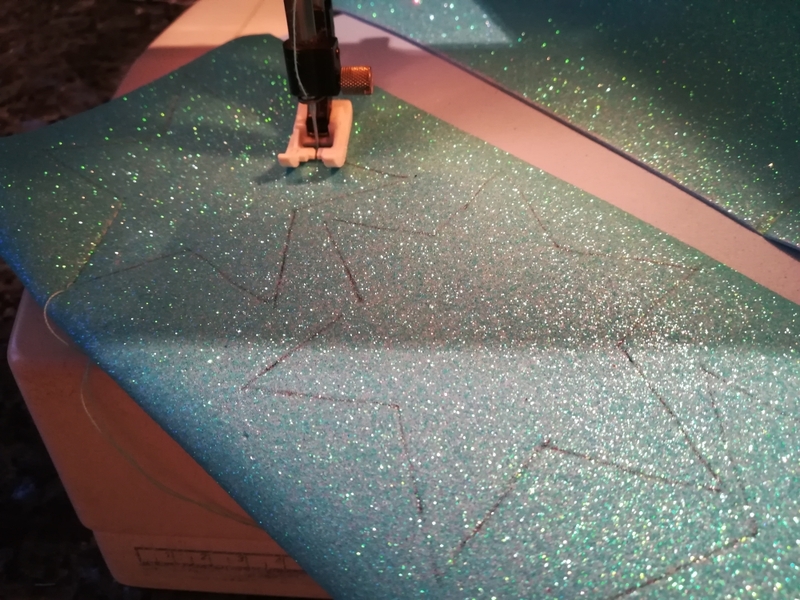 Fold rubber foam, you have 2 layers now. Sew along the drawing lines with your sewing machine, use polyester thread. 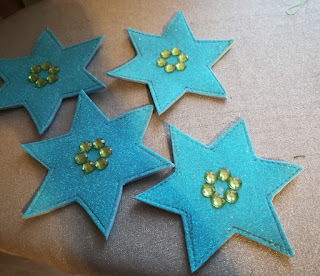 Cut star out, glue on acrylic stones --> foto. Make a few stars for your Advent Wreath or for your Christmas Tree.